Fancy renting a flat from Osama bin Laden's brother? Bakr Mohammed bin Laden, Osama's half-brother, is renting flats and accommodation to British students... for £13,000 per year. 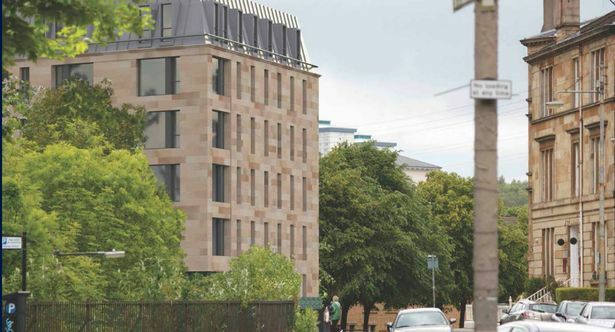 He owns Woodside House, in Glasgow, and is renting the plush, new flats to well-off students. The flats come with a dinner party room (isn't that just a dining room? ), a gym, study rooms, a cinema, and a glass-walled sky lounge. Bakr bin Laden, whose brother orchestrated the 9/11 attacks and was assassinated by US special forces in May 2011, bought the site back in 2014 for £1.5million. He put the deal together by using the UK-based company, Kelso Estates. The average student in Glasgow pays £65.82 per week for accommodation and earns on average £34.13 a week from part-time work, but residents of Woodside House will have to pay approximately four times that amount. “I have friends who live in this building and I am quite shocked to hear that this is Osama Bin Laden’s brother’s property. How would you feel, knowing you lived in a flat owned by the brother of the once most wanted man in the world, and the founder of Al Qaeda?